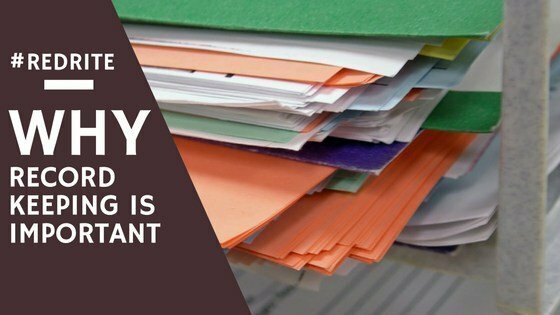 Record keeping is a vital task for any business but why? For the past two years I have been dealing with a utility company whose administrative and financial record keeping leaves major room for improvement. It all started with a request to update serial numbers, a simple process of updating a database through a step by step process. It should have taken no more than 6 months, however it took nearly 18 months of monthly phone calls and complaints before I called in a governing body to handle it for me. On several occasions I provide the same details over and over again including the address I reside at, opening usage readings and the current readings. The first attempt they blamed new software being the cause for delay. Second attempt they claimed the previous attempt had actually been done on my previous address and therefore needed to be reversed and done again. Third attempt they had reversed the last attempted and then successfully changed the serial number to have a member of staff then put a request through to cancel it on my behalf (trust me I never asked for it to be cancelled). It took months of the governing body being involved before someone was able to successfully change the serial number and provide an accurate bill. At this point I had had enough and switched provider thinking that a final bill would be issued and my problems would end. Boy was I wrong! I was sent several final bills each with different financial figures, different dates and even debt collectors claiming I owed nearly £500 for one month’s usage! So once again requested the support of the governing body. Today I received notification that my problems are at an end, a correct statement was provided and analysed to calculate a final accurate bill which I have now paid and wished them good bye. It had me thinking about the lack of organisation and the issues they must have between departments. I am always advising people to record everything, no matter how little, so if something was to happen they had information to help them. In this case I had made note of every phone call I had made, all the details I had provided and due to this was able to show a very clear picture of my utility usage, while the figures provided by the supplier seemed to change with each invoice, as well as the requests I had put to them. When requesting what the previous notes stated on my account some where missing and at times not even my phone calls where recorded which is a big no-no for businesses. It is essential to keep clear concise notes on all your accounts – both clients and suppliers. After every phone call send an email covering the points made in the call to the caller and even keep a record in a CRM system or a database of some kind. An accurate billing system which tracks every income, every expense, even refunds means you are never financially caught out. It can also provide you a clearer view on where your business stands. Use an app or diary to record when you need to make a call, or as a reminder that something needs doing – even keeping notes on social media posts you want to send. All of this can seem like additional stress and work but in the long term can save you such a headache. If I hadn’t kept record of communication between myself and the utility company, they could easily have fobbed me off. It also helps when dealing with my clients as sometimes they may mention something offhanded which I can use that to improve the services I offer to them; find them a connection they might not realise they needed or even get an idea as to the type of person they are to create a much more personal service. I have several apps and software systems – particularly cloud based systems – that I suggest to my clients, if you are interested I will be more than happy to share. Send me a quick email with your business, the type of information you wish to record and I will have a nosey through my index. I would love to hear if anyone else has had an experience such as mine, an experience that has had you questioning the administrative practises of a business. It doesn’t have to be a big business or a corporation we all know. So get sharing!